Presto PopLite Hot Air Corn Popper is must have for every kitchen. 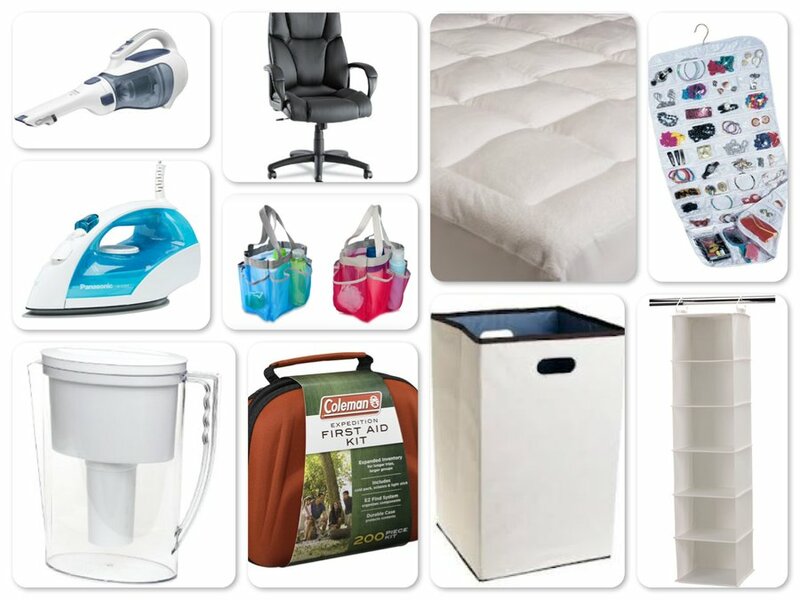 It is easy to use and easy to clean. It pops almost every kernel and makes healthy popcorn. It is small, handy and inexpensive. Some consumers use it for roasting Green Coffee beans too. It comes with butter melting cup. Some consumers had the problem where unit blew up after few uses. Lack of on/off switch causes inconvenience to users. 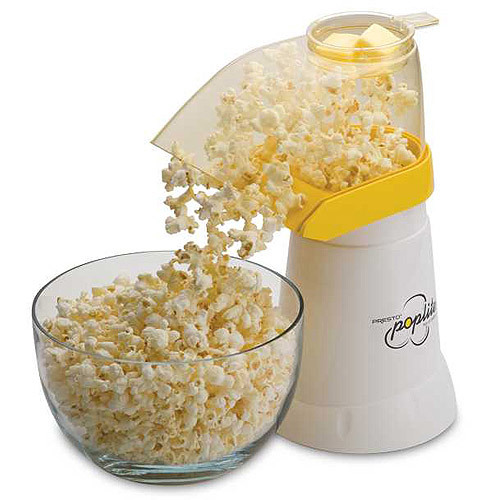 Overall, Presto PopLite Hot Air Corn Popper is a great little gadget which pops fresh popcorn in 2 minutes. 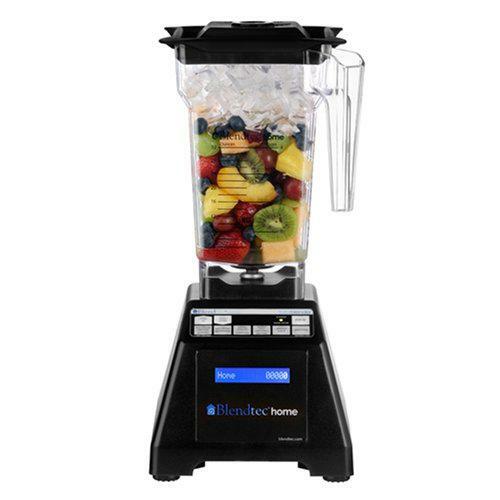 Blendtec Total Blender Four Side is powerful and versatile kitchen machine which can easily crush ice, make hot soups and nut butters, grind seeds, puree fruit and a whole lot more. 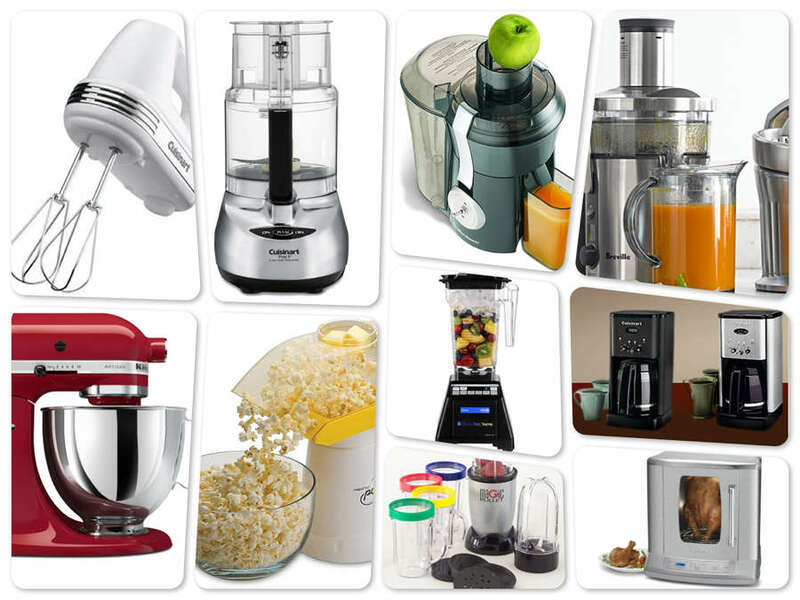 It is also the best blenders for making smoothies. 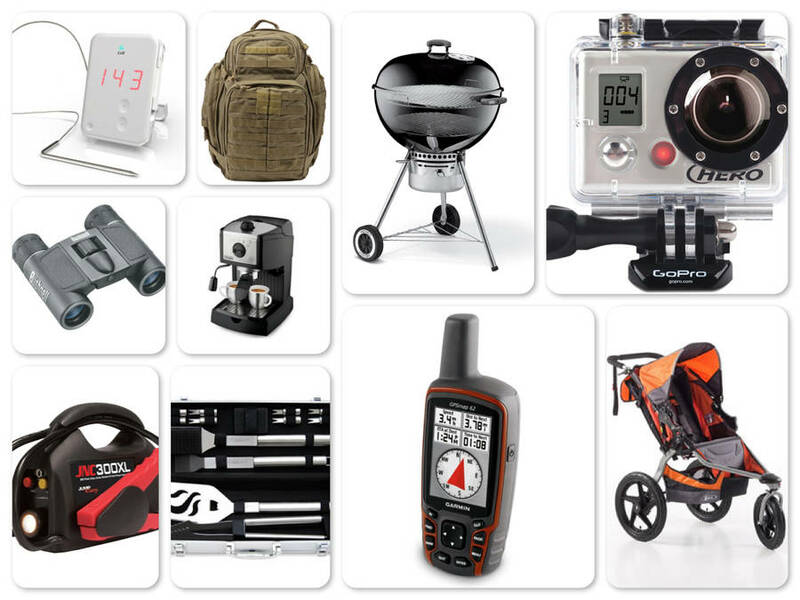 The performance is excellent with plenty of power and it is a durable product. The blender is super easy to use with one touch program buttons. 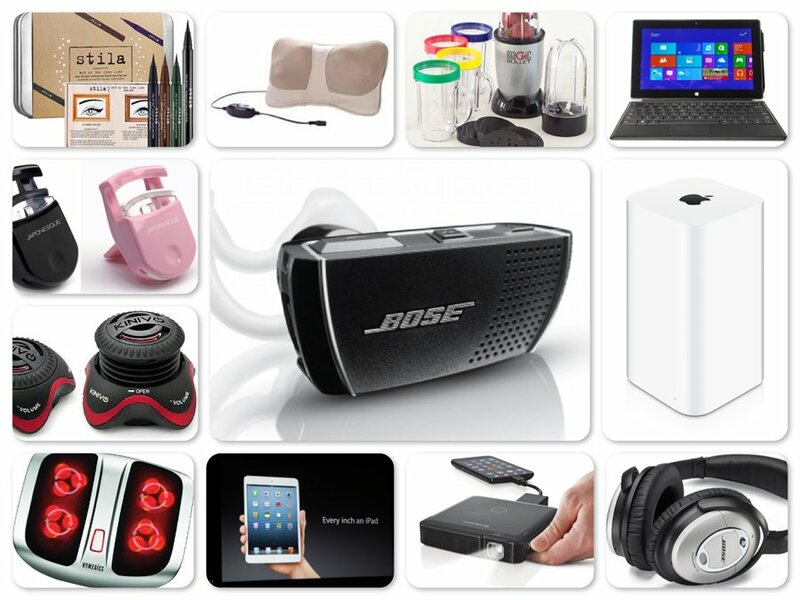 It comes with simple controls and a LED display panel. The jar is unbreakable and also claimed to be bullet proof. The cleanup is really easy. The same jar can be used for wet and dry grinding. The size is small enough to fit on the kitchen counter under cabinets. Some users complain that it is loud and does need more than one cycle to blend sometimes based on the content. It is an expensive blender. Overall, Blendtec Total Blender Four Side, is an excellent kitchen tool to make great smoothies, juices, soups etc. It can become a big part of your healthy lifestyle. Comes in 2 colors: Black and White. 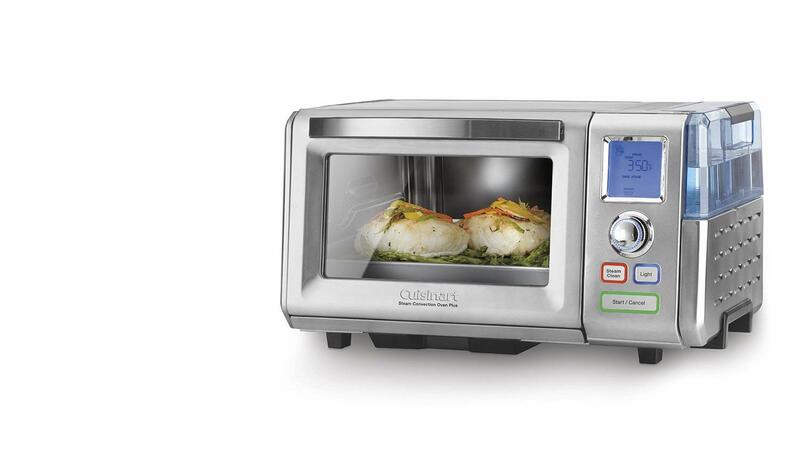 Cuisinart CVR-1000 Vertical Countertop Rotisserie with Touchpad Controls is a fast, easy, healthy and delicious way to cook your meals. This vertical countertop rotisserie comes in an eye-catching brushed stainless steel exterior with 8 pound food capacity that allows an efficient way to prepare meat. 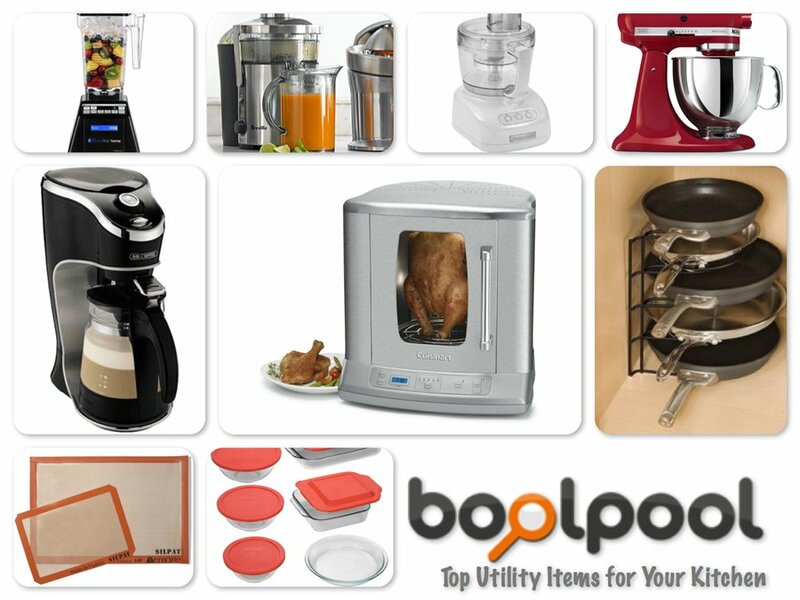 It is designed to evenly brown everything from roasts to vegetables to shish kebabs letting you make delicious food time and again. It includes an 8-piece skewer set, roasting rack, poultry tower, multi-purpose basket, and a drip tray. 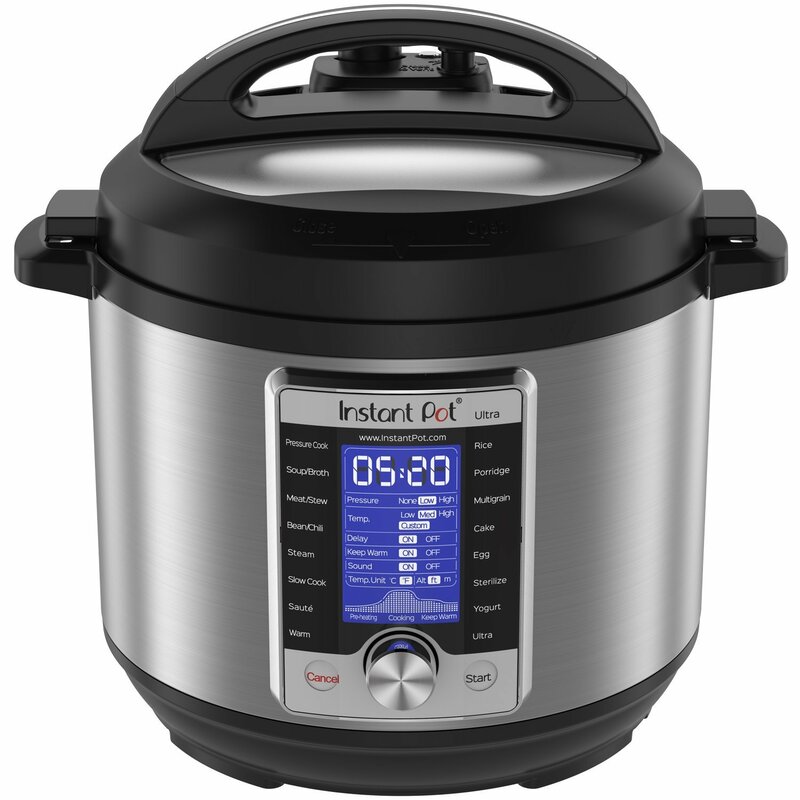 The non-stick interior along with 5 preset temperature settings and touchpad controls and LCD readout let you enjoy the benefits of an electric roaster by cooking some of your favorite items. 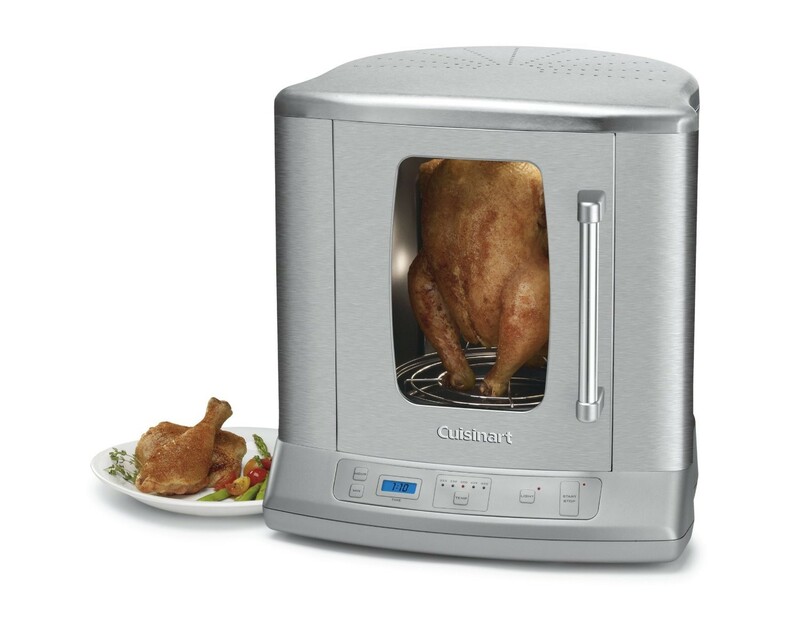 To keep the temperature consistent, it comes with a removable chrome insert that reflects heat as the rotisserie turns, and a 3-hour countdown timer with auto-shutoff ensures perfect timing. This countertop Cuisinart cooking tool includes helpful accessories as well as a recipe book with a number of delicious options to help get you started. Many reviews have appreciated the interior light feature that allows you to view food as it cooks. With time and several trials it can whip up a perfectly cooked meal however many users would have liked the instruction manual to include more information regarding the cooking time and temperature control guidelines. Additionally many user users pointed out that the unit worked fairly well with smaller meat loads, working with bigger portions could be a little difficult as parts of meat can get too close to the heating element. 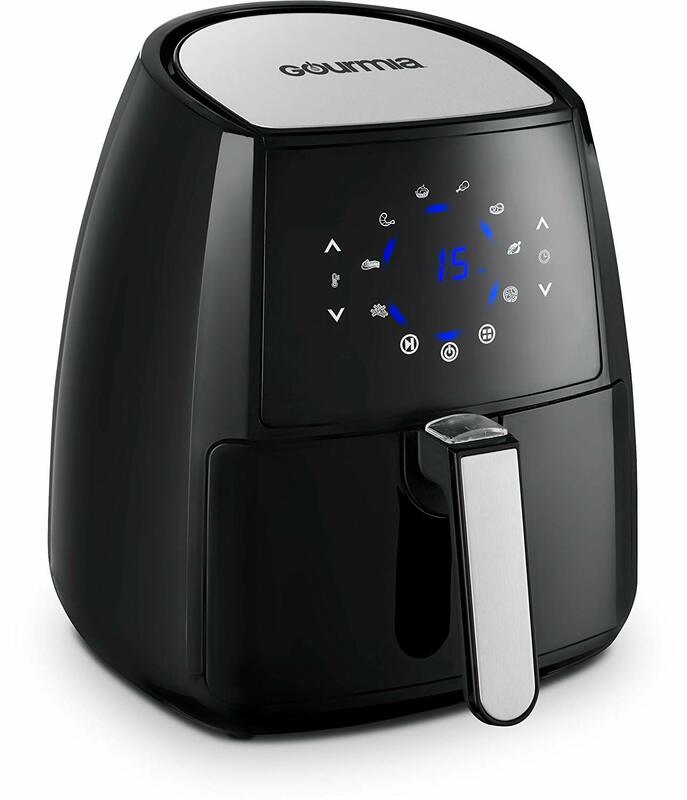 Overall, the Cuisinart vertical rotisserie is a great addition to any kitchen. Cleanup is a cinch with the polished heat reflector behind the heating elements that just slides right out and the drip tray that catches all the juices, so the grand finish is just a quick and easy wipe-down on the glass door and interior walls. It is a time saving and easy way to prepare healthy and delicious roasted entrée or sides of vegetables or seafood that keep firm in a multipurpose basket. 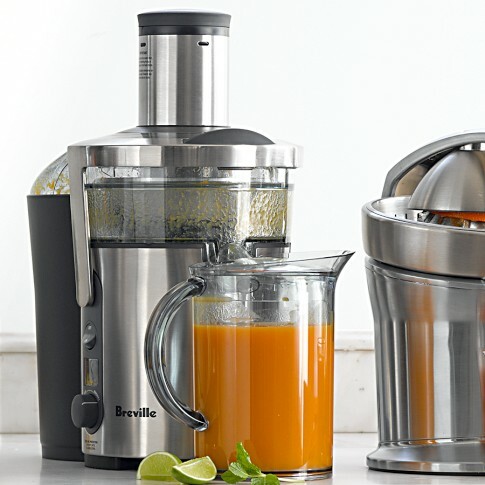 Breville BJE510XL is a smart juicer equipped with Multi-Speed 900-Watt Juicer to maximize juice and minimize waste. It features 5 speeds ranging from 6500 RPM to 12500 RPM for efficient juice output of all kinds of fruits, vegetables and leafy greens. It has an easy to clean micromesh filter that keeps the fibers out and the juice in. The components are dishwasher safe. The beautiful stainless steel body makes it stylish looking for any kitchen counter top. The juicer is sturdy and quiet. Some reviewers experienced that motor shuts off when they try to juice some hard vegetables or fruits. 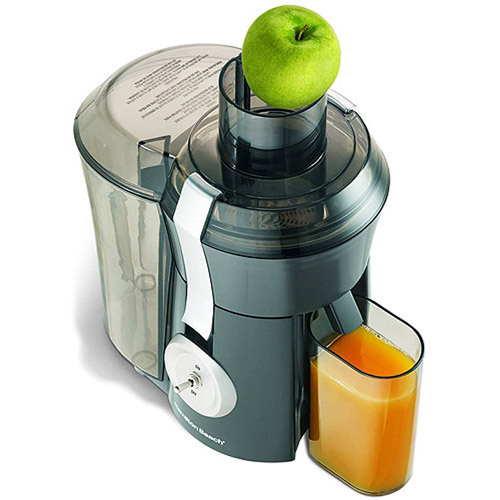 Also, this type of juicer is not suitable for juicing things like parsley, mint or wheat grass. Overall, the Breville BJE510XL boasts a well thought out design to present a durable and efficient juice extractor to become a part of your healthy life style. Now you can juice fruits and vegetables like kale, spinach, celery, cucumbers, cabbage, carrots, apples, pears, blood oranges and ginger with ease. Hamilton Beach 67650 Big Mouth Pro Juice Extractor is a single speed juicer with 800 watts motor to juice fruits, vegetables and leafy greens. Fruits and vegetables such as apples, carrots, celery, oranges, pineapples, watermelon and ginger work well with the juicer. There are certain types of fruits and vegetables that do not work well with centrifugal juicers. For example, bananas come out too much like puree when juiced in this juice extractor. The Big Mouth Pro juices very fast and is easy to clean. The pulp comes out pretty much dry and also in very small quantity, giving you more juice. It is one of the most affordable and powerful juicers with no bells and whistles. The Big Mouth Pro juices very fast and is easy to clean. The pulp comes out pretty much dry and also in very small quantity, giving you more juice. It is one of the most affordable and powerful juicers with no bells and whistles. This machine is easy to setup and disassemble for cleaning. The 3-inches feeder chute is big and convenient. Some reviewers complain that the machine is loud, which is only to be expected in a centrifugal juicer. Some users find the blade hard to remove. Hamilton Beach 67650 Big Mouth Pro Juice Extractor is a wonderful and affordable choice for veterans or beginners who want to get started with juices and juice diets at a reasonable price. The Cuisinart DLC-2009CHB Prep 9 9-Cup Food Processor has a powerful yet silent motor that efficiently slices, dices, purees and chops most of whatever you throw in it without a fuss, reducing your time in the kitchen. This versatile wizard can chop hard vegetables like carrots or potatoes, shred Parmesan cheese in minutes or even make finely mixed dough for bread! The unit comes with four different blades (two flat blades, a chopping/mixing blade and a dough blade) that are strong and easy to clean. 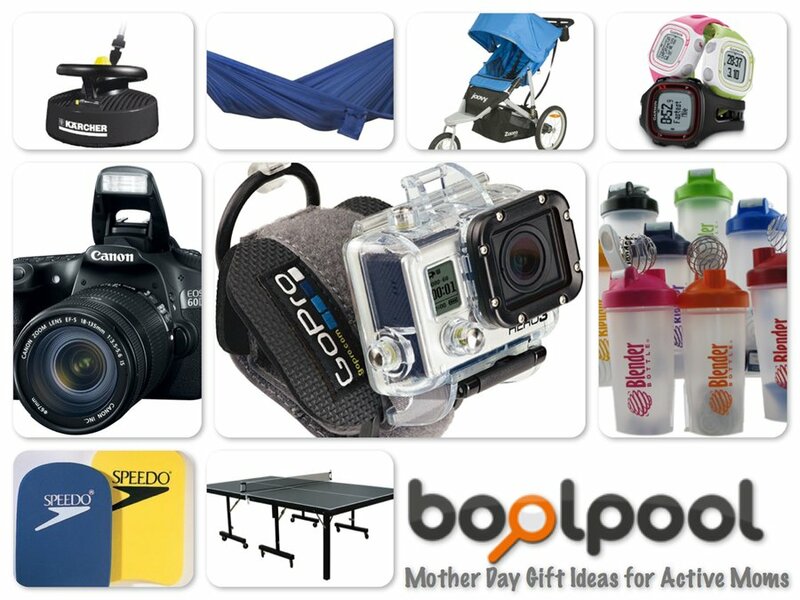 The other accessories are a detachable disc stem, plastic spatula, recipe/instruction booklet and a how-to DVD. The step by step instructions provided in the DVD and booklet make it a cinch to assemble and take apart the appliance. Many reviewers recommend rinsing the removable parts right after use, for there are lots of nooks and crannies for food to hide! Many reviewers recommend rinsing the removable parts right after use, for there are lots of nooks and crannies for food to hide! A boon in disguise, the Cuisinart prep bowl parts are dishwasher safe, so you don't have to spend a ton of time scrubbing by hand. A fast worker, this compact device with a brushed stainless finish, looks great on any counter top! But looks apart, few customers feel that there is some inconsistency in chopping and dicing, especially when it comes to onions and tomatoes. As one reviewer notes, onion chopping in this food processor comes with experience as one needs to learn the nuances of how to use this device effectively for that! Also the liquid capacity of the container is only 4 cups and not 9 as noted by a few. Overall, the Prep 9 9-Cup Food Processor is a handy dandy machine that might be an expensive purchase but a great investment as it reduces the prep time in half...also you can now throw out your mandolin slicer, shredder or even the mini chopper! Got a lot of hungry mouths to feed? 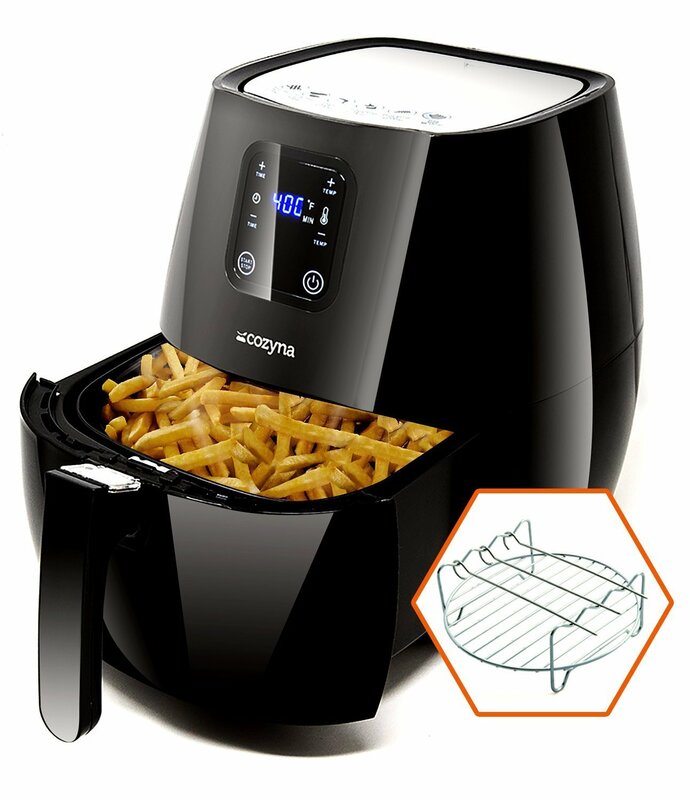 "Art"; up your cuisine with this powerful and efficient workhorse! Magic Bullet MBR-1701 17-Piece Express Mixing Set is a versatile kitchen appliance. It is well-equipped to make smoothies, dips, salsa and baby foods. Add your favorite fruits to the short or tall cup and enjoy refreshing smoothies and shakes. You can drink from the same container you blend in, as the blending jar doubles as a travel cup. The see-through jars are convenient and can be used for storage. To heat or chill, simply place the magic bullet cup or mug in the microwave, refrigerator or freezer. The mixing set is stylish and compact and takes very less storage space. 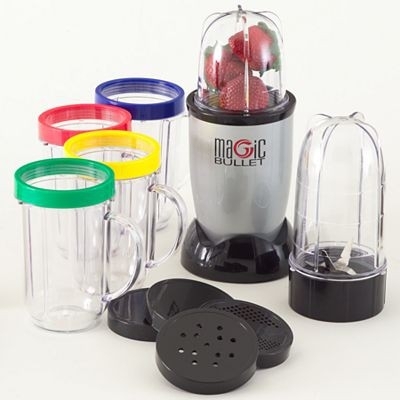 Magic Bullet MBR-1701 17-Piece Express Mixing Set is a versatile kitchen appliance. It is well-equipped to make smoothies, dips, salsa and baby foods. Add your favorite fruits to the short or tall cup and enjoy refreshing smoothies and shakes. You can drink from the same container you blend in, as the blending jar doubles as a travel cup. The see-through jars are convenient and can be used for storage. To heat or chill, simply place the magic bullet cup or mug in the microwave, refrigerator or freezer. 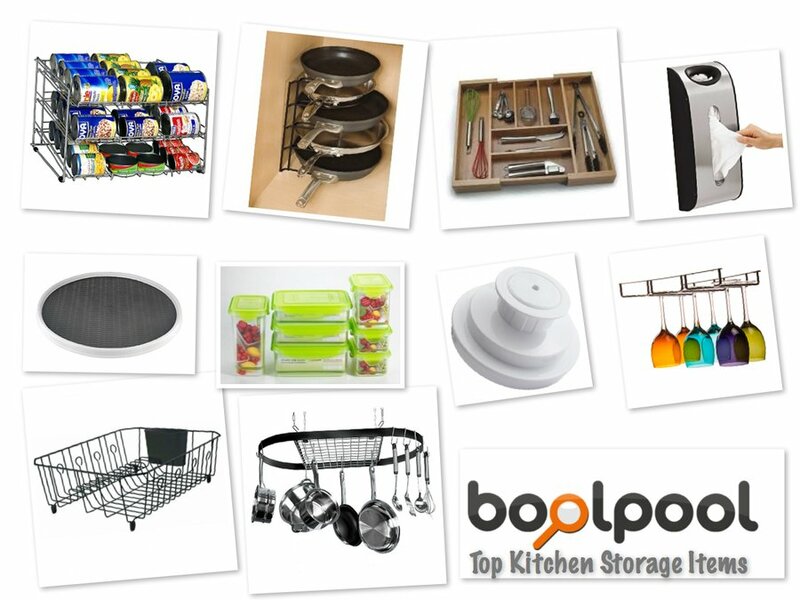 The mixing set is stylish and compact and takes very less storage space. It is easy to use as there are no buttons to push. Just load the ingredients into the short cup, the tall cup or one of the four mugs. Twist on the cross or flat blade, place the bullet on the power base, and press down to make it work. Many reviewers complain that this machine does not crush ice or frozen fruits easily and leaves chunks in smoothies. Also the chopping function does not work very well. The plastic drive mechanism is not durable. Overall, Magic Bullet MBR-1701 17-Piece Express Mixing Set is a handy and easy to use machine which can replace food processor, blender, and coffee grinder in the kitchen. KitchenAid Artisan Series Stand Mixer has a strong 325-watt motor that delivers the power to handle the heaviest mixtures, and mix large batches easily. The 5-quart polished stainless steel bowl with ergonomic handle is big enough to handle large batches of heavy mixtures. A unique mixing action creates a thorough blend of ingredients and eliminates the need to rotate the bowl. The beater spins clockwise as the shaft spins counter clockwise; moving the beater to 67 different points around the bowl. 10 speeds allow the user to select the right speed for the mixing job; from very high to very slow stir. It's easy to select the precise speed needed for a perfect mix. The tilt-back mixer head allows for easy access to bowl and beaters. KitchenAid Artisan Series Stand Mixer has a strong 325-watt motor that delivers the power to handle the heaviest mixtures, and mix large batches easily. The 5-quart polished stainless steel bowl with ergonomic handle is big enough to handle large batches of heavy mixtures. A unique mixing action creates a thorough blend of ingredients and eliminates the need to rotate the bowl. The beater spins clockwise as the shaft spins counter clockwise; moving the beater to 67 different points around the bowl. 10 speeds allow the user to select the right speed for the mixing job; from very high to very slow stir. It's easy to select the precise speed needed for a perfect mix. The tilt-back mixer head allows for easy access to bowl and beaters. A lock lever holds the mixer head securely in place and the bowl fastens tightly to the base. The mixing bowl and attachments are very easy to clean. The mixer comes with a range of versatile accessories like the flat beater, dough hook, and the professional wire whip. The flat beater is the ideal accessory for mixing normal to heavy batters. The dough hook mixes and kneads yeast dough, saving both time and the effort of hand-kneading. The wire whip incorporates the maximum amount of air in whipped mixtures for fluffier whipped cream and angel food cakes. All attachments are solidly constructed, and attach easily to the stand mixer. Some users faced the quality control problems with the mixer where it failed and they had to get a replacement mixer or buy a different brand. This is an expensive mixer. 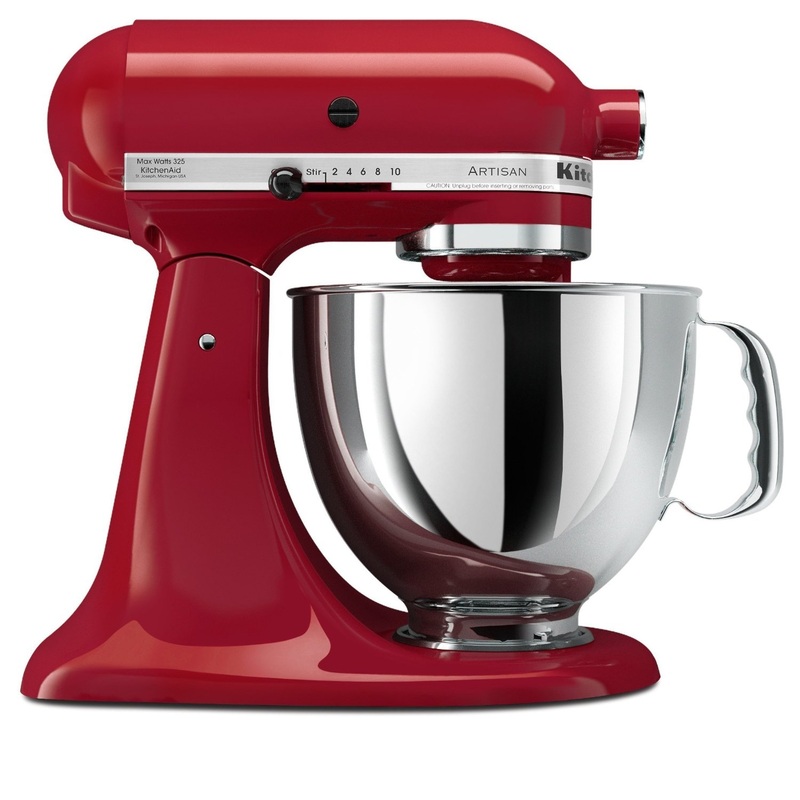 With a 325-watt motor and 10 mixing speeds, making delicious treats is easier with the KitchenAid Artisan Series 5-qt. Stand Mixer. It comes in many beautiful colors to match any décor in your kitchen. It is proudly made in USA. 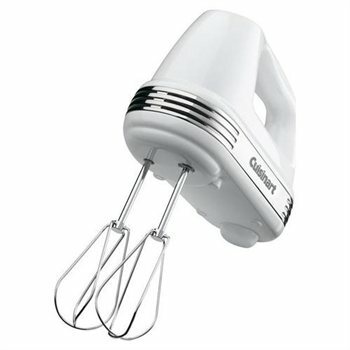 Cuisinart HM-70 Power Advantage 7-Speed Hand Mixer has 220-watt motor with automatic feedback. The unit has smooth start feature and shifts speeds with just one touch. 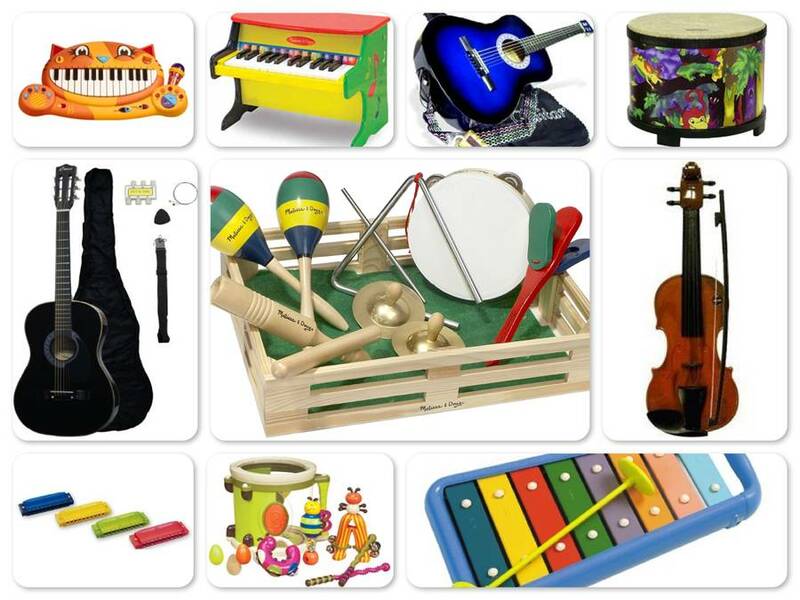 It offers seven speed options for mixing and beating different things. It can be used to whip cream and to mix cookie dough. The mixer has One-Step On/Off switch, which starts gently and shifts speeds smoothly so that things don't start flying around as soon it touches the mixing bowl. This hand mixer is easy to hold and easy to clean after using. 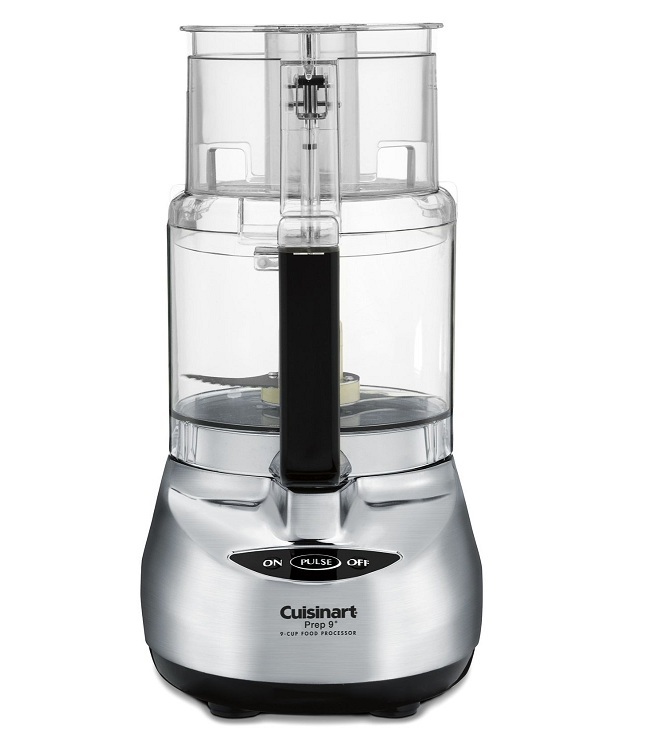 Cuisinart HM-70 Power Advantage 7-Speed Hand Mixer has 220-watt motor with automatic feedback. The unit has smooth start feature and shifts speeds with just one touch. It offers seven speed options for mixing and beating different things. It can be used to whip cream and to mix cookie dough. The mixer has One-Step On/Off switch, which starts gently and shifts speeds smoothly so that things don't start flying around as soon it touches the mixing bowl. This hand mixer is easy to hold and easy to clean after using. The LED display is easy to read for speed settings. Some customers complain that even though the beaters work very well but they are not dishwasher safe. For some users, the initial starting speed is high and they want the mixer to start at the lowest speed among first 3 low speeds. Overall, Cuisinart HM-70 Power Advantage 7-Speed Hand Mixer is a great product which is very easy to use and provides a good value for the money. The Stainless Steel Cuisinart DCC-1200 Brew Central 12-Cup Programmable Coffee Maker, is a 12-cup coffee maker and is programmable up to 24 hours in advance. This coffee maker is easy to program and use. The charcoal water filter enhances the taste of coffee. The features also include brew pause and paperless gold-tone filter. After brewing, a variable temperature controls the heat and keeps the coffee hot. It has self-clean cycle, making it easy to clean and the unit automatically shuts off after making coffee. 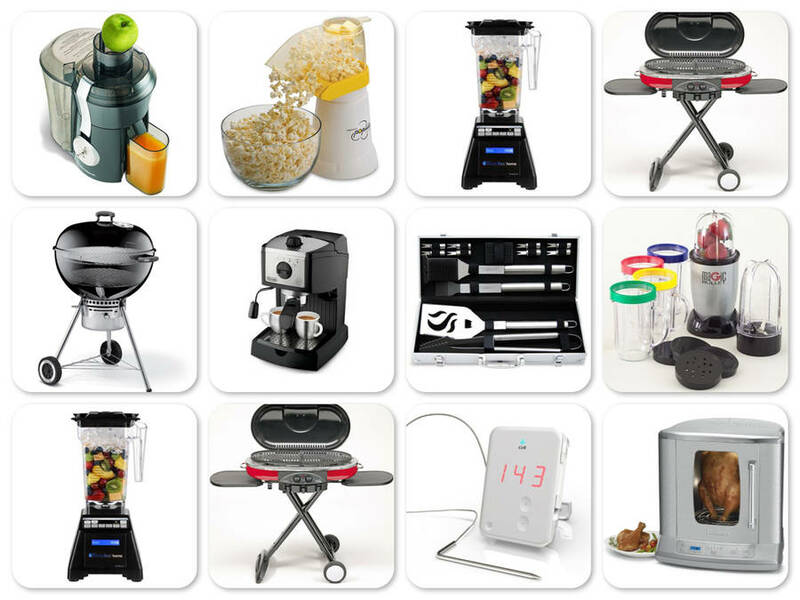 Consumers like the stylish and retro look of Cuisinart DCC-1200. 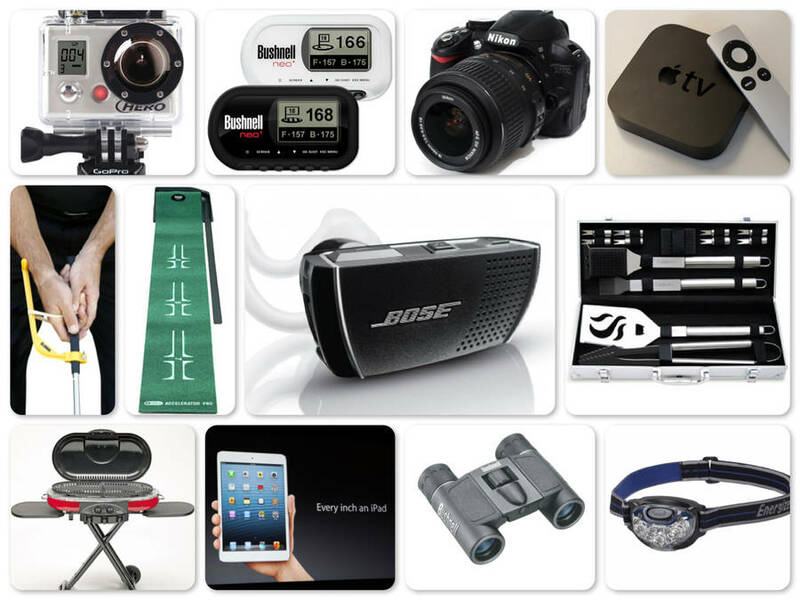 Some consumers complain that the machine does not last for more than few months. Some users also complain that the location for pouring water is small and inconvenient. 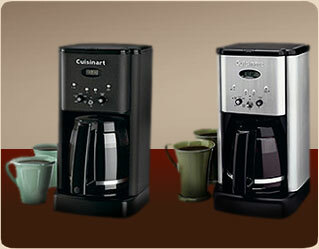 Overall, buyers like this coffee maker for its features and ease of use and recommend to other buyers.